As we get older we often let our health and fitness levels take a back seat. A couple of years ago, my husband decided enough is enough. 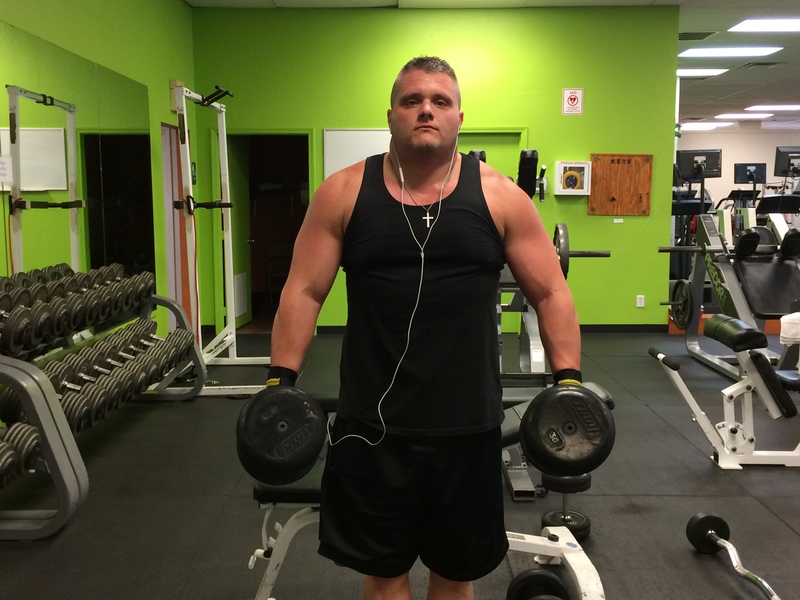 He was tired of being overweight, tired of having no energy and tired of the way he looked in the mirror. So he slowly started incorporating diet and exercise into his life. In under two years he has completely transformed his body into this muscular machine and he’s done it all on his own. The first thing you need to realize is that progress doesn’t happen over night. It takes weeks and sometimes months before you see any results. But be patient and don’t give up. 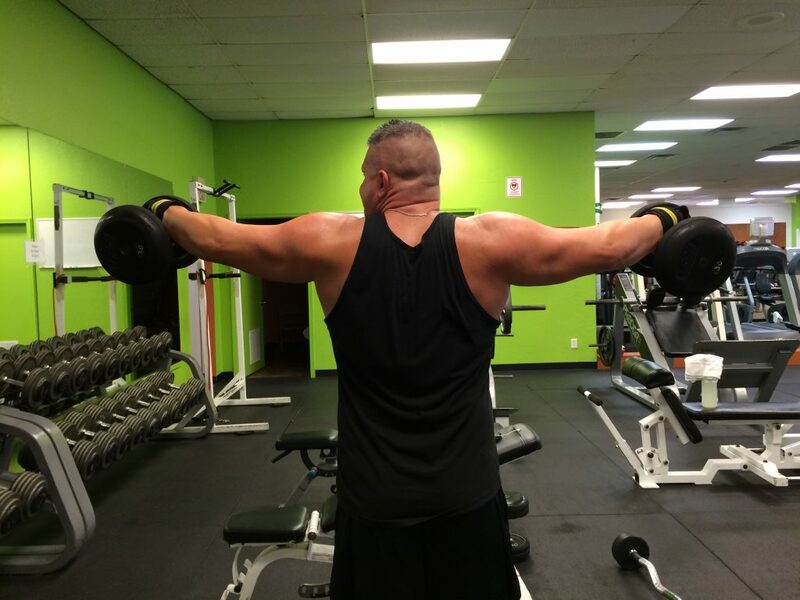 Everyday that you work out your muscles is one more day that they get stronger and stronger. Eventually you will see results that you will love, you just have to keep at it. 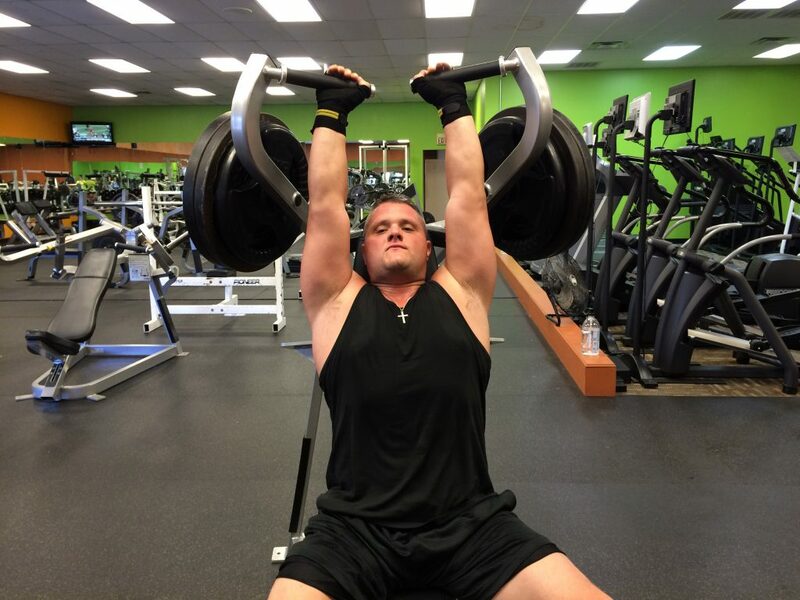 But working out is just the beginning of my husbands muscle building journey. 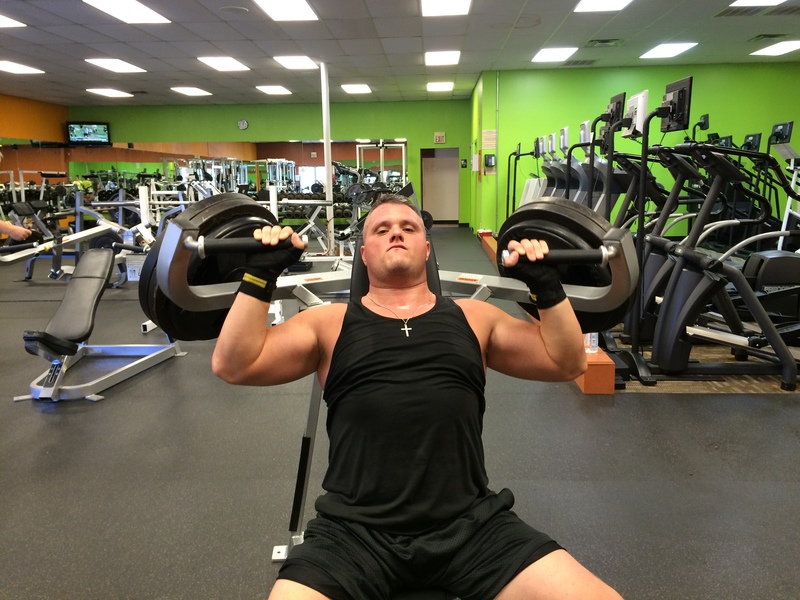 To help him gain more muscle mass he added in protein to his weight training routine. 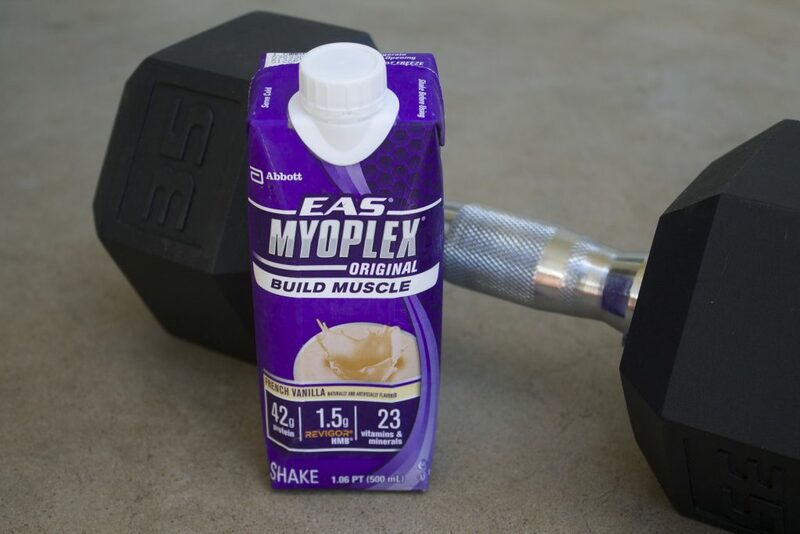 EAS Myoplex RTDs are a great option because they are Ready-to-Drink Shakes that you can take right after a workout. They can conveniently be stored in your workout bag for easy on the go access. Plus they come in delicious flavors including Chocolate Fudge, Strawberry Cream, French Vanilla, Rich Dark Chocolate, Cookie & Cream. EAS is a great source of protein and can help you reach and maintain your muscle building goals when combine it with an active lifestyle. 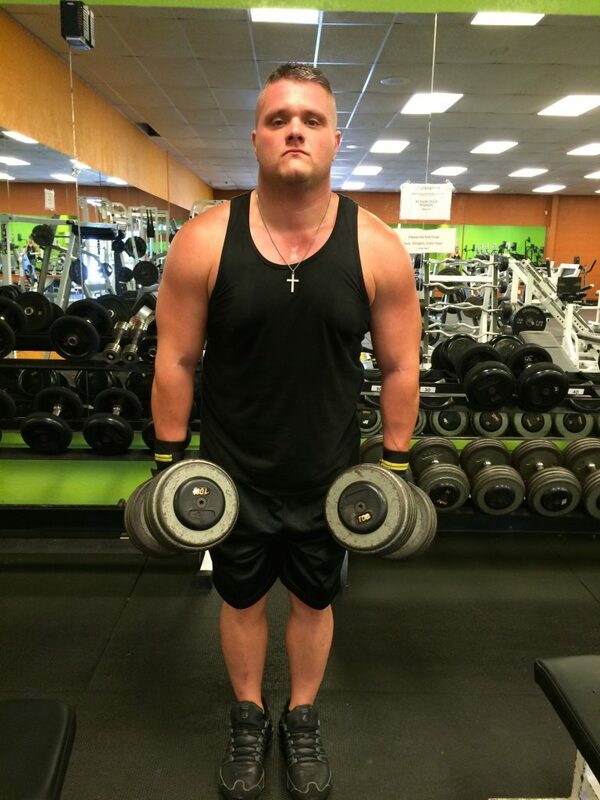 Most men want to focus on their upper body when it comes to working out. So to help you get started on your journey to big muscles here are 5 easy shoulder workouts to help you get stronger looking shoulders. Before your workout get on the elliptical or treadmill for about 5 minutes at moderate intensity. This will help get your blood flowing to your muscles. 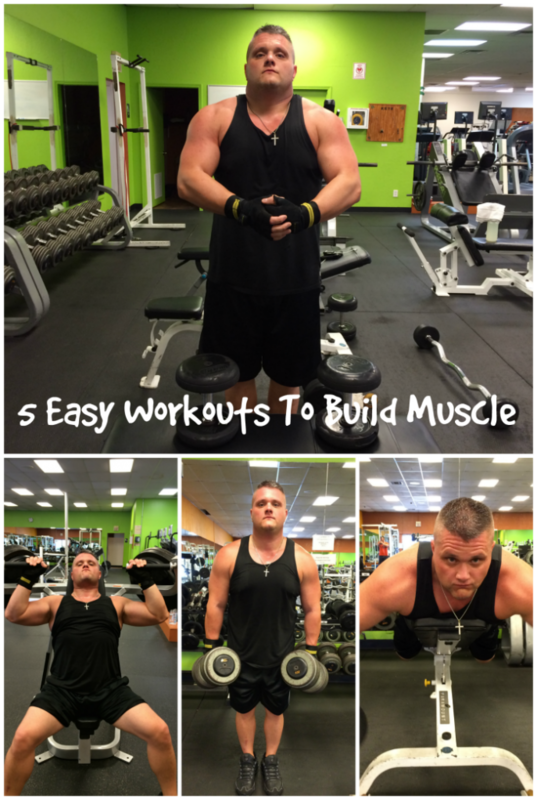 With each of these workouts you need to do 3 sets of 10-12 moderately heavy weights. 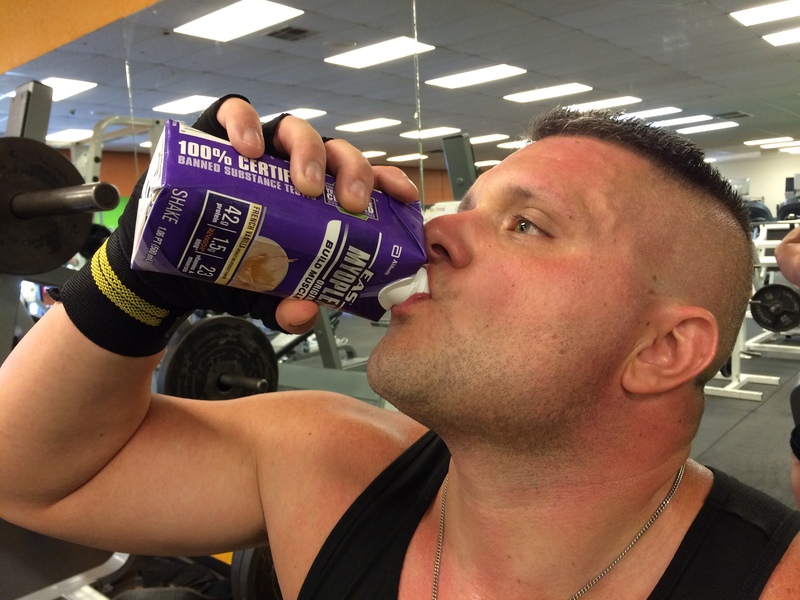 After your workout drink a protein shake such as EAS Myoplex RTDs. EAS Myoplex delivers the protein and nutrients to help your body rebuild to its best. 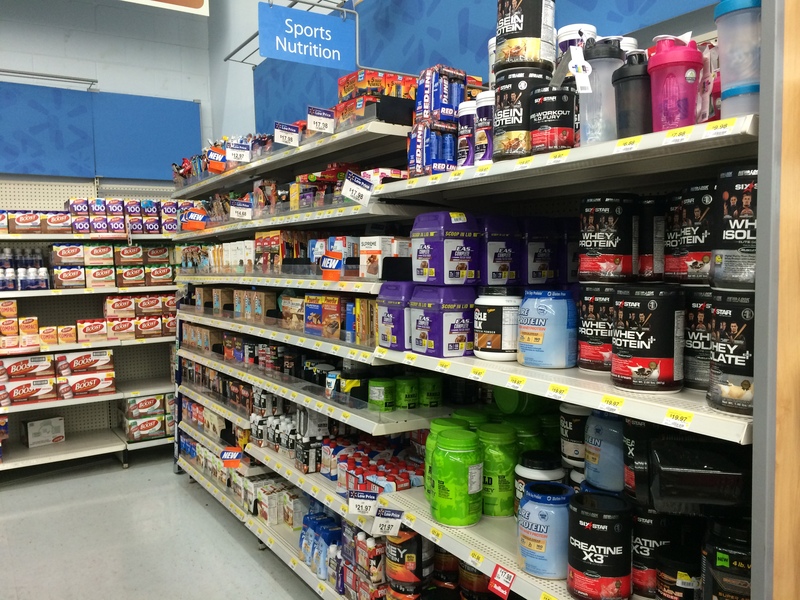 You can purchase EAS Myoplex RTDs products in the health and wellness section at your local Walmart. What are some of your plans for reaching your fitness goals and becoming a healthier you? Oh he will LOVE that compliment! Thanks Summer.